MEENA (1956-1987) was born on February 27, 1956 in Kabul. During her school days, students in Kabul and other Afghan cities were deeply engaged in social activism and rising mass movements. She left the university to devote herself as a social activist to organizing and educating women. In pursuit of her cause for gaining the right of freedom of expression and conducting political activities, Meena laid the foundation of RAWA in 1977. This organization was meant to give voice to the deprived and silenced women of Afghanistan. She started a campaign against the Russian forces and their puppet regime in 1979 and organized numerous processions and meetings in schools, colleges and Kabul University to mobilize public opinion. Another great service rendered by her for the Afghan women is the launching of a bilingual magazine, Payam-e-Zan (Women's Message) in 1981. Through this magazine RAWA has been projecting the cause of Afghan women boldly and effectively. Payam-e-Zan has constantly exposed the criminal nature of fundamentalist groups. Meena also established Watan Schools for refugee children, a hospital and handicraft centers for refugee women in Pakistan to support Afghan women financially. At the end of 1981, by invitation of the French Government Meena represented the Afghan resistance movement at the French Socialist Party Congress. The Soviet delegation at the Congress, headed by Boris Ponamaryev, shamefacedly left the hall as participants cheered when Meena started waving a victory sign. Besides France, she also visited several other European countries and met their prominent personalities. 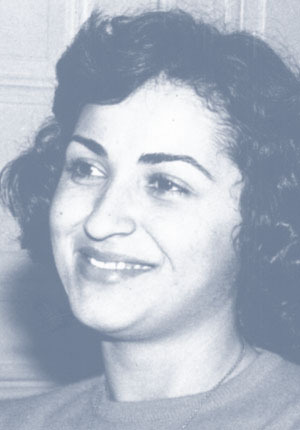 Her active social work and effective advocacy against the views of the fundamentalists and the puppet regime provoked the wrath of the Russians and the fundamentalist forces alike and she was assassinated by agents of KHAD (Afghanistan branch of KGB) and their fundamentalist accomplices in Quetta, Pakistan, on February 4,1987. Meena gave 12 years of her short but brilliant life to struggle for her homeland and her people. 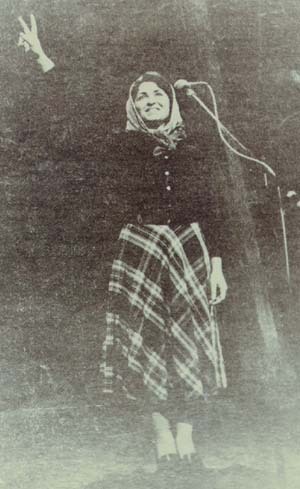 She had a strong belief that despite the darkness of illiteracy, ignorance of fundamentalism, and corruption and decadence of sell outs imposed on our women under the name of freedom and equality, finally that half of population will be awaken and cross the path towards freedom, democracy and women's rights. The enemy was rightly shivering with fear by the love and respect that Meena was creating within the hearts of our people. They knew that within the fire of her fights all the enemies of freedom, democracy and women would be turned to ashes. To break all these sufferings all these fetters of slavery. I've found my path and will never return.